Maria is the daughter of Dan and Christy Flach. She grew up in Cumberland County north of Montrose with her four sisters – Bethany, Lauren, Morgan and Shelby. She attended Dieterich schools and graduated in the top 10% of her class from Dieterich High School in 2005. She obtained an Associate’s Degree in Business Administration from Lake Land College in 2007, and later received her Bachelor’s Degree in Finance from Eastern Illinois University in May of 2009. Her love of math and numbers made choosing a major easy, and during her time at EIU, Maria worked as a teller for First Neighbor Bank at their branches in Toledo, Greenup and Charleston. After graduating from EIU, Maria briefly moved to the Chicago suburb of Naperville, where her now husband was posted as a state trooper following his completion of the Illinois State Police Academy in December 2008. There she took a job with Amcore Bank. She traveled to several of their branches for work, including Elgin, Aurora, Lombard, St. Charles, downtown Chicago, etc. In March of 2010, Zack was transferred from District 2 in Elgin to District 12 in Effingham. They moved back to the area and bought a house in Dieterich. 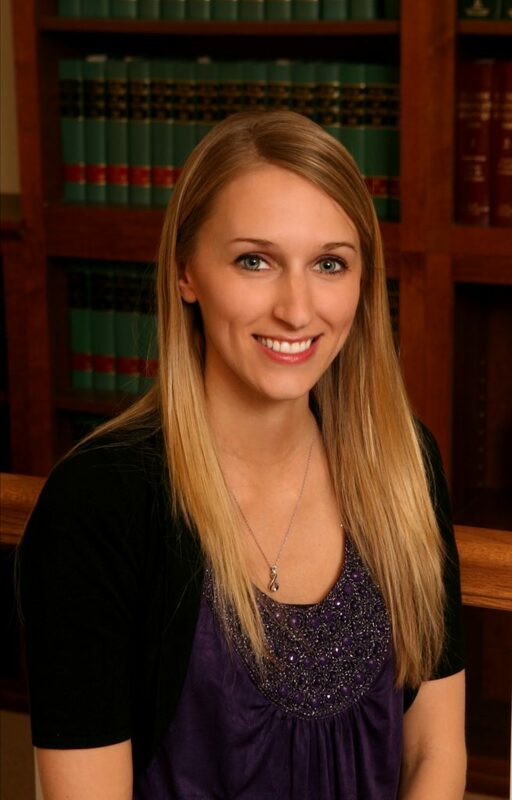 Maria was offered a bookkeeping job with Resch Siemer Law Office in November 2010. Her bookkeeping tasks at Resch Siemer Law Office included billing, monitoring A/R, account balancing, A/P, and generating reports and spreadsheets. Maria also assisted the attorneys and other staff members with a variety of responsibilities including the drafting of letters, pleadings and orders for court. Maria moved from Resch Siemer Law Office to Orr Law, LLC with attorney Holly Hotze Lynch in August 2014. Maria works as assistant to both Holly and Rick; her assistance is primarily in the areas of family law, collections, estate planning, real estate and probate. Maria and Zack were married on June 11, 2011 at Sacred Heart Catholic Church in Lillyville. They welcomed their twins, Liam and Bailey, into their family on October 18, 2015. They currently reside in the country near Montrose.